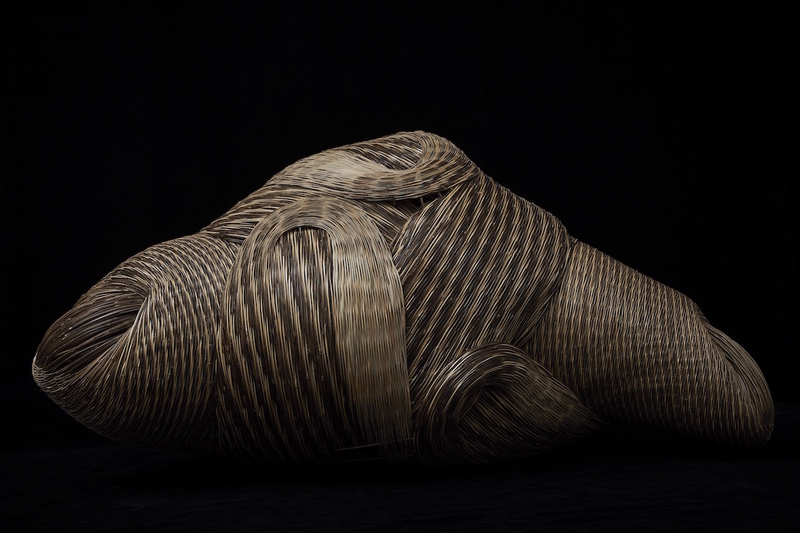 Chikuunsai IV is the youngest artist of a familial line of traditional Japanese baskets weavers. 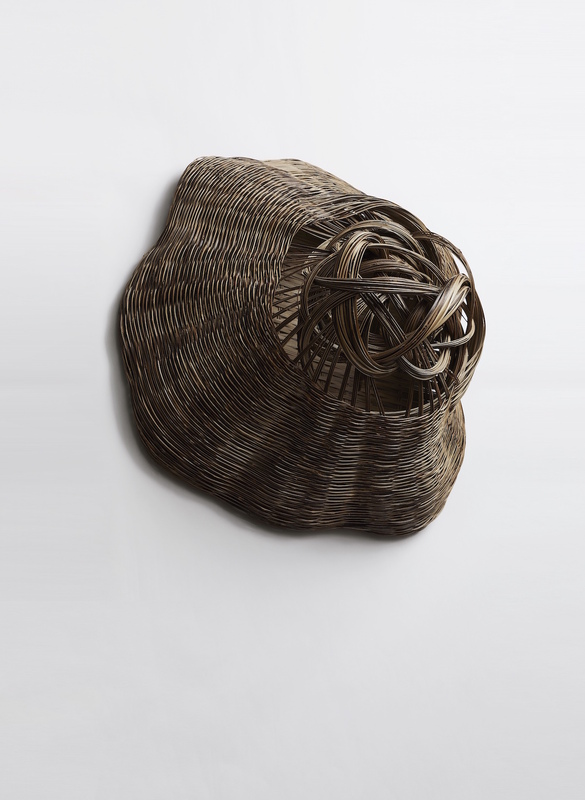 He graduated from the fine art department of Osaka City Crafts High School and later went on to the Sculpture Department of Tokyo Art University. 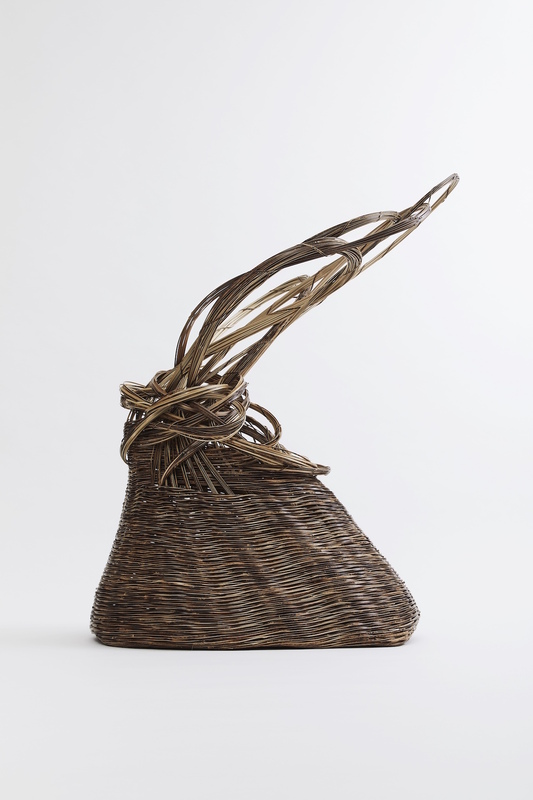 From there Chikuunsai IV proceeded to develop his skills for two years as an apprentice. 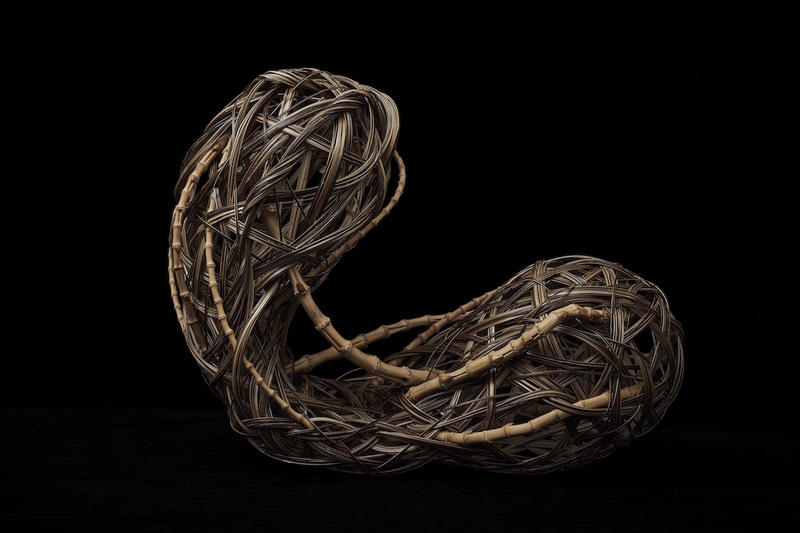 Deriving his practice from the production of traditional accessories for the tea ceremony, Chikuunsai IV makes large-scale installations and non-functional objects with a recognisably unique style. 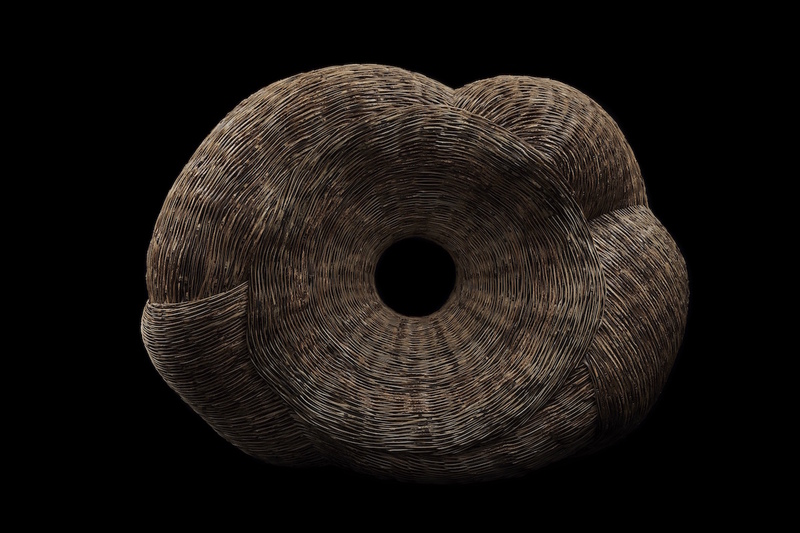 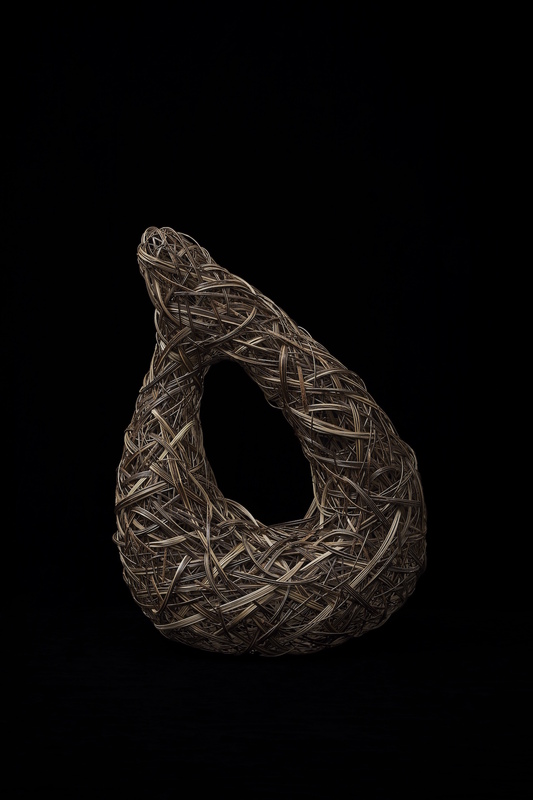 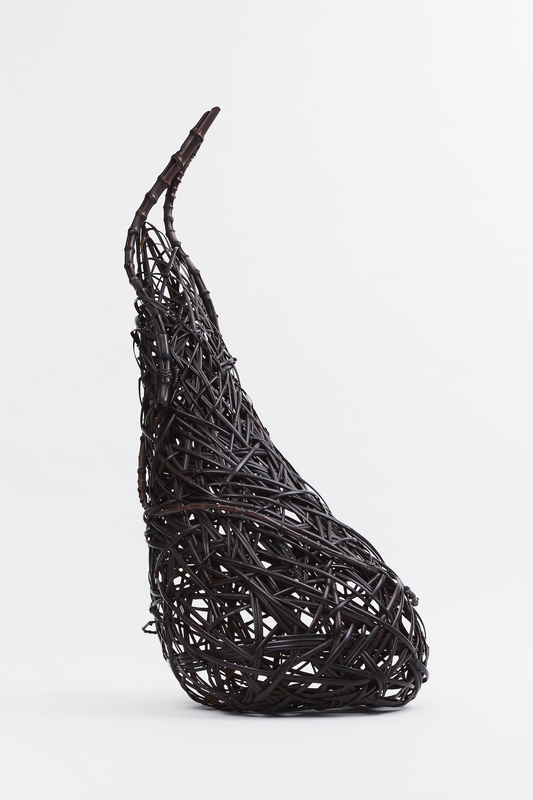 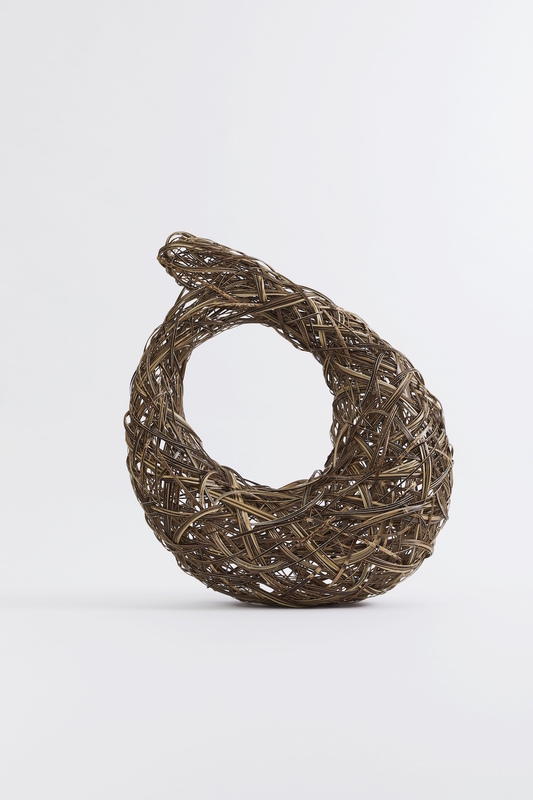 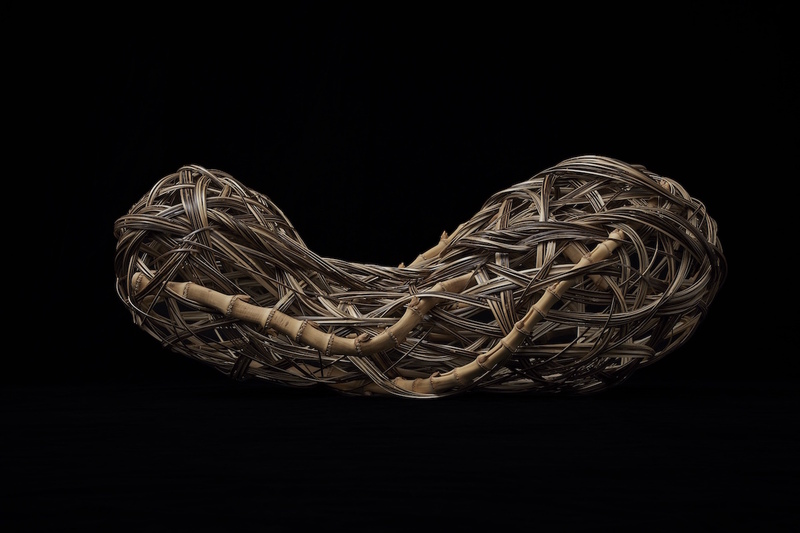 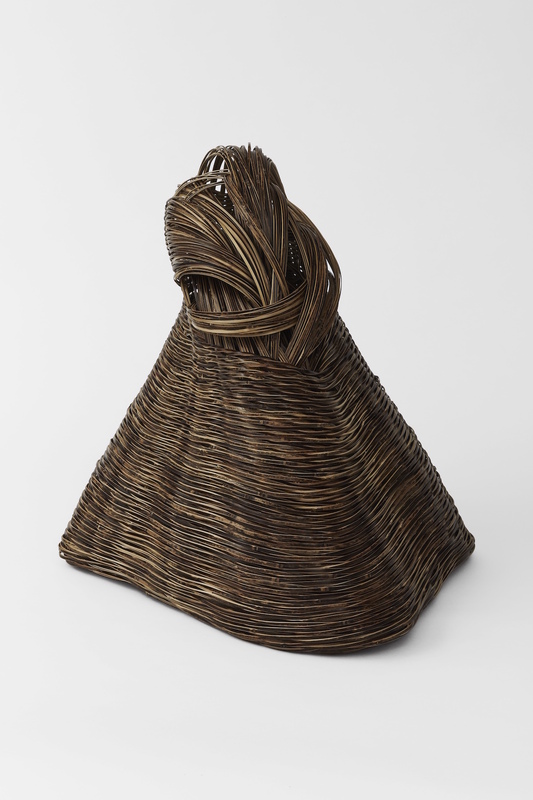 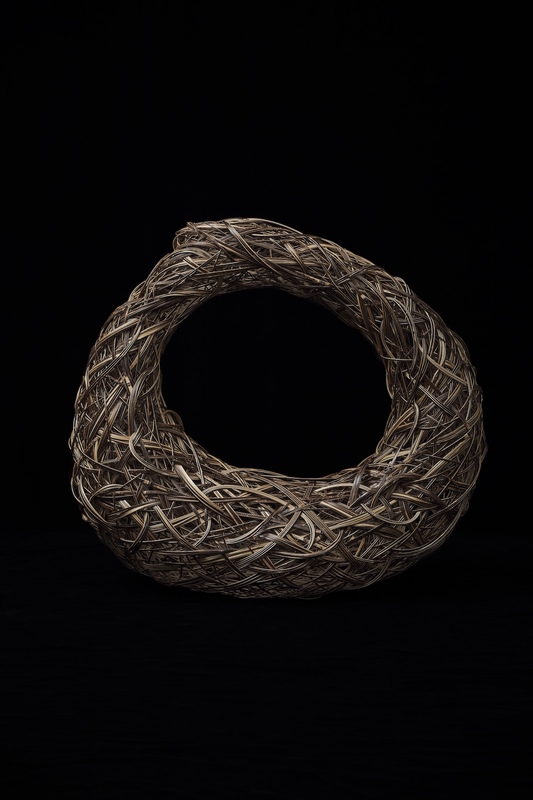 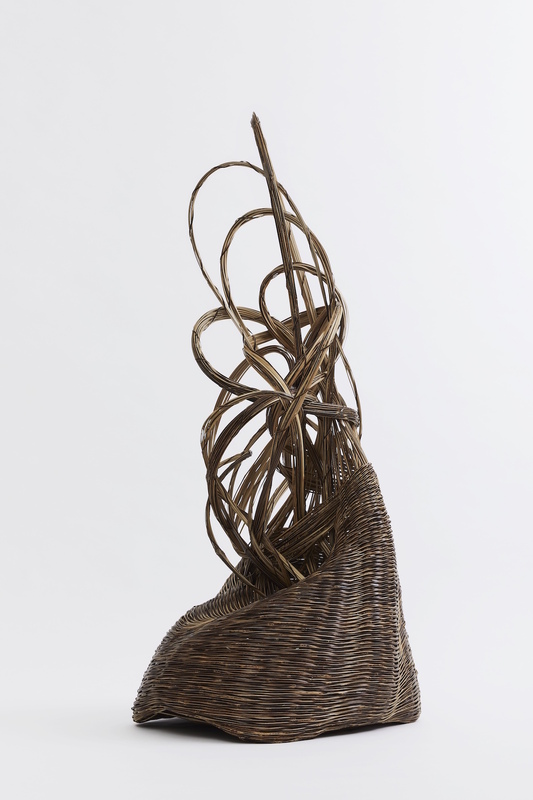 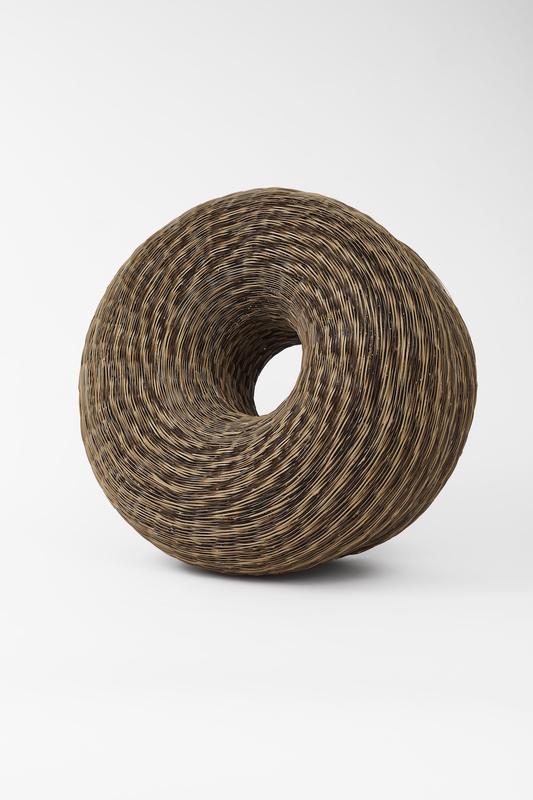 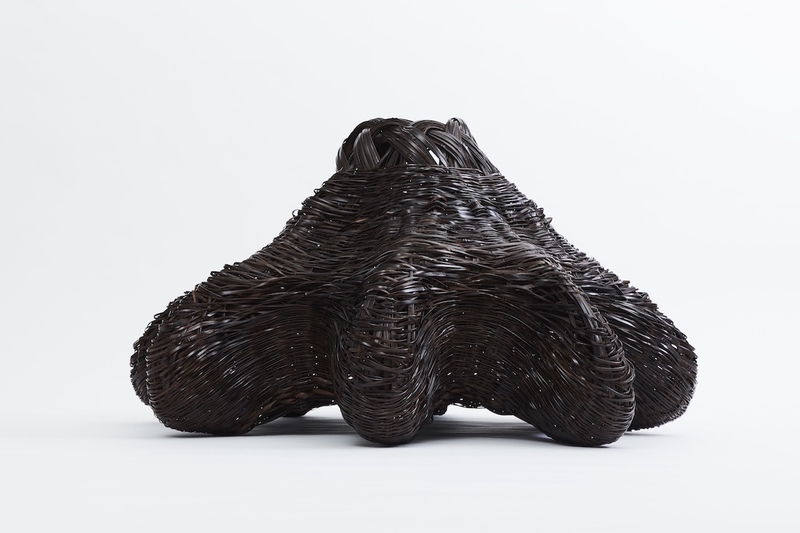 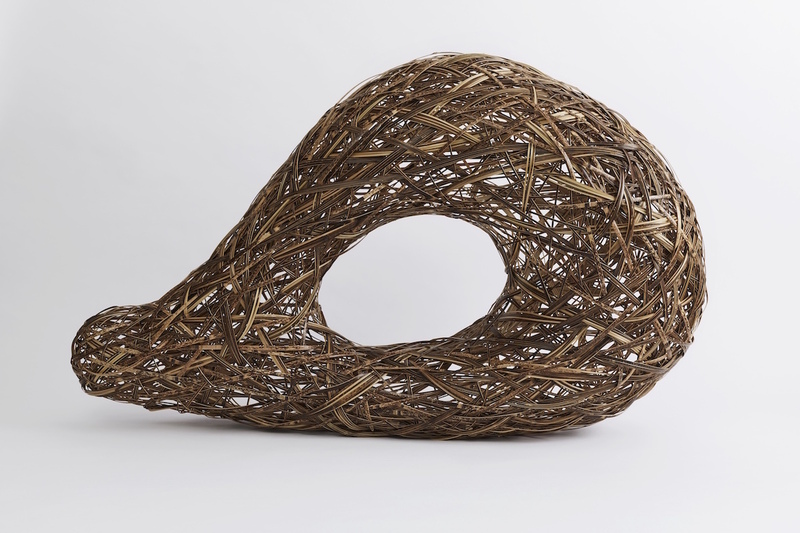 In his sculptural pieces, age-old techniques are mastered and fused with his contemporary take-on bamboo weaving. 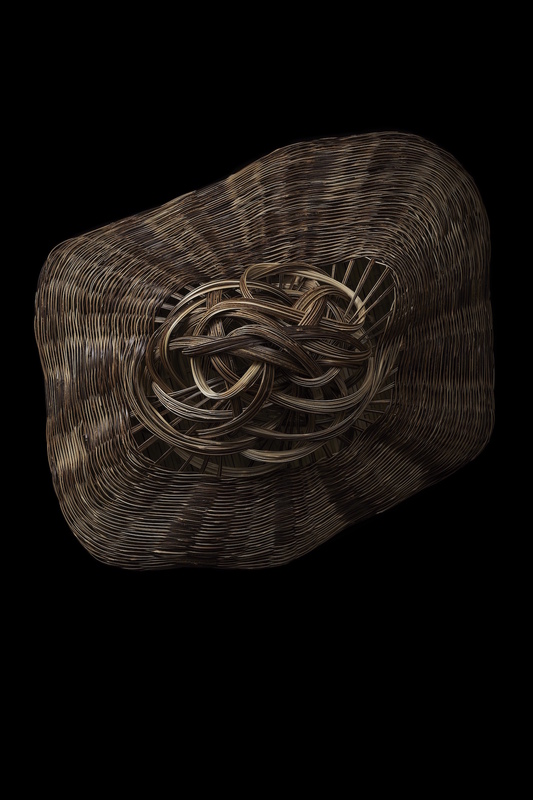 Works of Chikuunsai IV Tanabe are included in the collections of the Philadelphia Museum of Art, Seattle Art Museum, Long Beach Museum of Art, Museum Fine Art of Boston, the Metropolitan Museum of Art , USA; Victoria and Albert Museum, British Museum, UK; Museum of Fine Arts Gifu, Japan; Guimet Museum, Paris; National Gallery of Victoria, Australia; amongst others.